Heading into 2018, our signature event series RTP180 has a few changes. 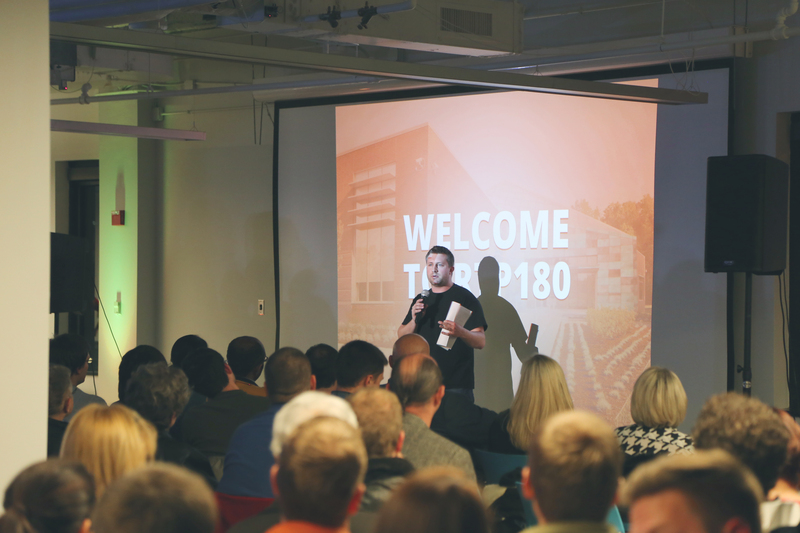 For those of you that do not know, RTP180 is an event held at The Frontier the third Thursday of every month. Each month we choose a different topic and invite the best of the best from around The Triangle to give their spin to the audience in just five minutes. It can be hard to cram all the passion, research, successes and sometimes failures into those five minutes…but that is part of the fun! Doors open at 5:00 p.m. for free beer, popcorn and networking, and the speakers hit the stage at 6:00 p.m. All we ask is that you come as you are and bring an open mind. If you cannot attend in person, we have a solution! 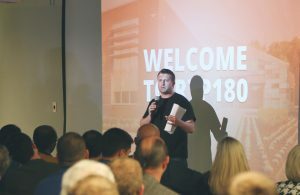 UNC-TV has signed on to produce RTP180 for 2018. They will be on site each month filming every second, and will host a live stream on this site, beginning at 6:00 p.m.
Another change for the new year: our host. After 4.5 years of solid commitment to RTP180 (and I mean solid), Will Hardison has decided to hang up his microphone. But as they say, the show must go on! In late December we launched a search to find our new emcee, and were overwhelmed by the response. We are currently hosting auditions and are being thorough in the process so we can choose the best fit. We are excited to introduce our new host to you in January. This year, the topics we’ll be tackling fall into four main themes: Human Interaction & Communication, Science, Technology and Economic Development. To kick off the year, our first Human Interaction & Communication topic will be on Language. This event brings together experts from four of our local universities to tell their side of the language story January 18. Curious about what you can expect? 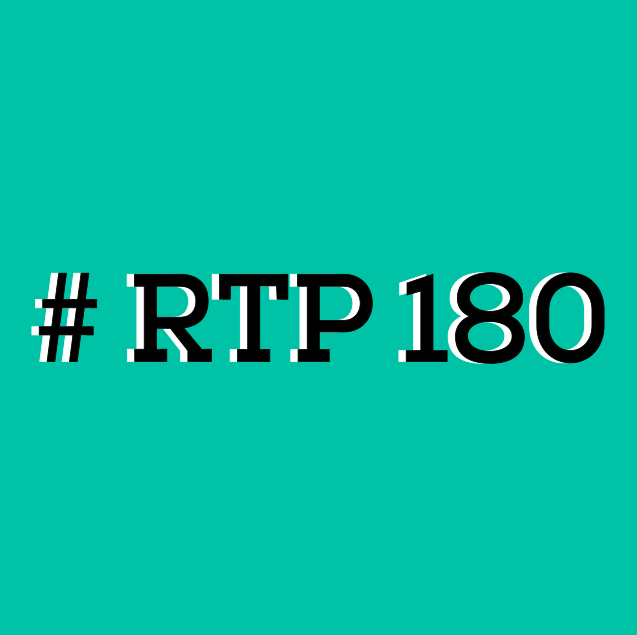 Reserve your spot at this month’s RTP180 on January 18, and be sure to mark your calendars for our other two topics this quarter: Opioids on February 15, and Blockchain on March 15.